When it comes to wholesale flooring in Colorado Springs, nobody provides wall-to-wall coverage quite like ProSource® of Colorado Springs. Ideal for trade professionals, contractors, and their commercial and/or homeowner clients, our Colorado Springs showroom is a treasure trove of wholesale flooring products that are sure to revitalize any room in any home. Members at ProSource of Colorado Springs get access to exclusive deals, an unmatched selection, and superior customer service when searching for wholesale flooring. Become a member at ProSource of Colorado Springs today to start saving time and money. 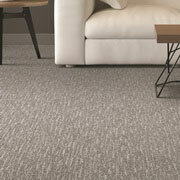 Allow us to introduce you to the latest and greatest in wholesale carpet flooring. At ProSource of Colorado Springs, trade professionals will find the widest selection of carpeting products that are rich with character and low on price. From carpet tiles to traditional carpet offerings, ProSource of Colorado Springs is your one-stop shop for wholesale carpeting for a number of projects. 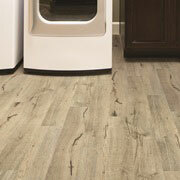 Hardwood flooring is a great way to create that high-end look without the extravagant price tag. With ProSource of Colorado Springs, trade professionals can pass those savings on to their homeowner clients. Our showroom features a vast selection of high quality wholesale hardwood flooring products from the top name brands, including Armstrong, Kahrs, Mohawk, Teragren, Shaw, and more. 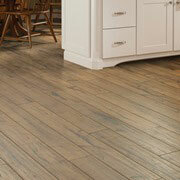 From solid hardwood to engineered hardwood, maple to cherry wood to bamboo, ProSource of Colorado Springs has it all. Homeowners surely won’t be disappointed when they see the incredibly advanced laminate flooring options available at ProSource today. From stone to tile to wood floors, laminate flooring is unbeatable when it comes to the price and durability for a manufactured product. 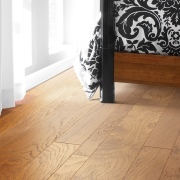 This flooring is reliable and budget-friendly — two things your client won’t be able to turn down. Tile flooring is gaining popularity among Colorado Springs homeowners and businesses because of its low maintenance and stylish appeal. Enhance your offering as a trade professional or contractor by becoming a member at ProSource of Colorado Springs. Here, you’ll gain exclusive access to the latest trendsetting styles without breaking the bank. 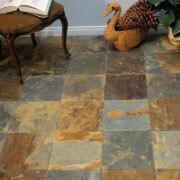 From ceramic and porcelain tile flooring to elegant backsplashes, ProSource has it covered. As a trade professional, chances are you’ve witnessed the transformation of the flooring industry firsthand. Leading the transformation is luxury vinyl tile, a popular choice among many because of its waterproof properties, resiliency, and stunning appearance. And when it comes to wholesale flooring, ProSource of Colorado Springs provides the best brand names in the luxury vinyl tile industry. Become a member today to learn more. We proudly serve Colorado Springs, Monument, Security-Widefield, Manitou Springs, and Fountain, Colorado, as well as the surrounding areas. The ProSource of Colorado Springs showroom is conveniently located in Colorado Springs, Colorado and serves all of the neighboring cities including Alma, Avondale, Beulah, Boone, Calhan, Canon City, Cascade, Coal Creek, Colorado City, Colorado Springs, Como, Cotopaxi, Cripple Creek, Divide, Elbert, Fairplay, Florence, Florissant, Fountain, Green Mountain Falls, Guffey, Hartsel, Hillside, Hugo, Jefferson, Lake George, Larkspur, Manitou Springs, Matheson, Monument, Olney Springs, Palmer Lake, Penrose, Peyton, Pueblo, Ramah, Rockvale, Rush, Sedalia, Simla, USAF Academy, Victor, Wetmore, Woodland Park and Yoder.